NSSN TUC Congress Rally in Brighton: ‘Fight together to scrap the 1% pay cap and get the Tories out!’ – 1pm Sunday September 10th in the Arundel Suite in the Holiday Inn, 137 King’s Rd BN1 2JF. This week’s bulletin celebrates another victory by striking workers. Hot on the heels of the successful Glasgow Janitors in Unison that we showcased last week, the Unite Birmingham binworkers have forced the employer to retreat. 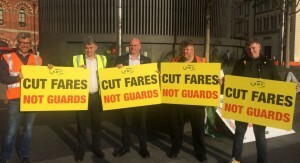 However, many trade unionists will be angry that it’s a Labour city council that was looking to attack workers’ grades. Now binworkers in Doncaster have forced a last minute pay offer that has averted today’s proposed strike for now. 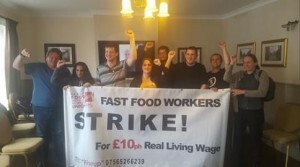 We also highlight again the fight of low-paid McDonald’s workers in Cambridge and Crayford who have voted to strike and will take action on Monday September 4th. We call on all our supporters and affiliates to support them and build solidarity. On the Saturday before the strike, 2 September, BFAWU is holding a protest at McDonald’s HQ in East Finchley, north London. We are calling on solidarity from the wider movement on this day, with banners, collections etc, brought along in support. 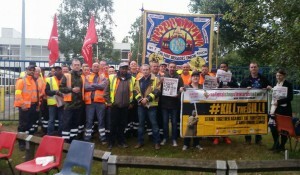 On the day of the strike, Monday 4 September, workers at the Cambridge site will picket from 6 – 7am, while workers at the Crayford site will picket from 6 – 7.30am. The strikers and their supporters will then come together outside Parliament at 10.30/11am for a rally including confirmed special guests to be announced, including Jeremy Corbyn and John McDonnell. Stay posted for details of what will be happening after the rally. We are asking for maximum support possible with banners and supporters gathering at the rally, and for local activists and anyone who can to show their support at picket lines where possible too. 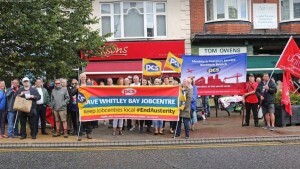 Support Picturehouse workers: Picturehouse BECTU members from five cinemas were last on strike on August 5th and 6th. They are now re-balloting up until August 29th. Picturehouse management refuse to meet with us to discuss our requests: recognition of our chosen union, BECTU; to pay no less than the London Living Wage; fair pay differentials for other pay grades; full company sick pay, maternity and paternity pay. The company have refused independent conciliation and have sacked four union reps at the Ritzy cinema in an attempt to undermine staff action. Picturehouse owners Cineworld made £93 million profit in 2016, while the CEO’s total pay package was worth over £2.5 million. They can afford to pay their staff properly. Please drop by and show your support for staff! Keep supporting the Picturehouse workers: read the latest on Brixton Ritzy Facebook Page and those of Hackney, Crouch End, Central, Duke of York Brighton and Dulwich East.